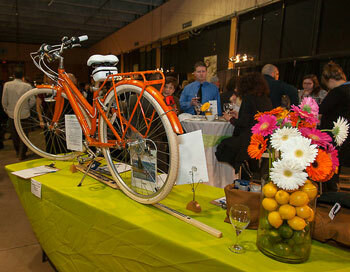 Silent auctions are a fundraising staple of many charity events. Although time and labour intensive to organize, the pay off can be great. Ask for it right: Equip your silent auction committee with strong collateral including a great template ask-letter that clearly states event details, fundraising objectives, how it all fits with a donor’s target market and what they can expect in return. Kick-start the process by partnering with fundraising specialists like Cornerstone Group of Companies to help supply volunteers with a list of potential businesses to tap. 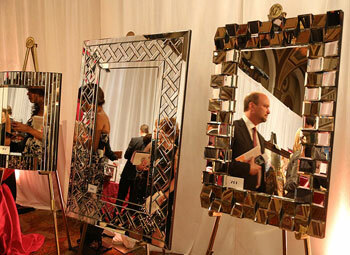 Hire an auction organizer pro: Often it pays to bring in the pros who know all the ins and outs of charity auctions. The Silent Auction Company, for example, can look after all the logistics, from sourcing merchandise including artwork, jewellery, experiences and home décor, to designing the table displays, bid sheets and signage to managing the final cash out. Items that get bids rockin’: Make sure items on offer match the dollar power of the audience. For upscale auctions, consider using a consignment source such as Charity Fundraising that can provide unique celebrity autographed memorabilia, VIP experiences and vacation packages ready for display with no upfront purchase or deposit. Simply return unsold items back to the company. Free shipping both ways is a bonus. Up the bid ante: If the auction table is looking a tad sparse or you need t-shirts and thank you gifts for volunteers, check out a discount wholesale and promotional products source such as the Bargains Group. A strong supporter of not-for-profit groups, the company offers both bulk and open-stock purchasing to help add value to donated goods. Build a theme around a spa certificate, for example, by adding a robe, slippers and beauty care products. Get technology involved: Say goodbye to paper bid sheets and opt for the device that everyone carries – a smart phone. NDI MobilBid offers customizable, web-based software for silent auctions that puts the bidding process online. Upon check-in, guests simply download an app that lets them set automatic bid increments on their favourite items, track the action, and make a move when they receive an alert when an item reaches their bid maximum. A leader board projects the bidding and showcases sponsors. Check-out is easy with emailed invoices for on-the-spot mobile payment. 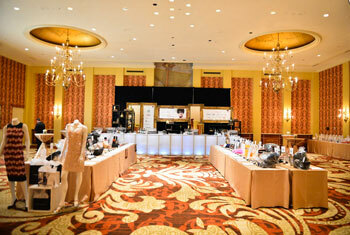 Entertainment that sells: Talk up the silent auction table all event long. That means having an event emcee with charismatic selling skills. Partner with a pro from a speakers agency such as National Speakers Bureau to ensure a customized energy-driven presenter with the skill to keep traffic flowing to the bid sheets. Also, script entertainment and event staff to incorporate the auction into their guest interactions. Create displays that stand out: Train proper lighting and spotlights on auction tables to make items pop and signage and bid sheets easy to read. Arrange tables front and centre for maximum traffic flow or stage them as a VIP lounge with its own bar. Creative Bag or a dollar store are great sources for display and décor ideas such as frames for item descriptions, boxes and baskets to help elevate product displays and create themed gifts, and takeaway bags for purchased goods.